G-Star RAW was happy, happy, happy to announce a partnership today with Pharrell Williams, who is now a co-owner of the jeans brand and will be working on the collections, advertising, and business strategy. This comes on the heels of a two year collaboration between the brand and singer on RAW for the Oceans, which transformed recycled ocean plastic into denim. 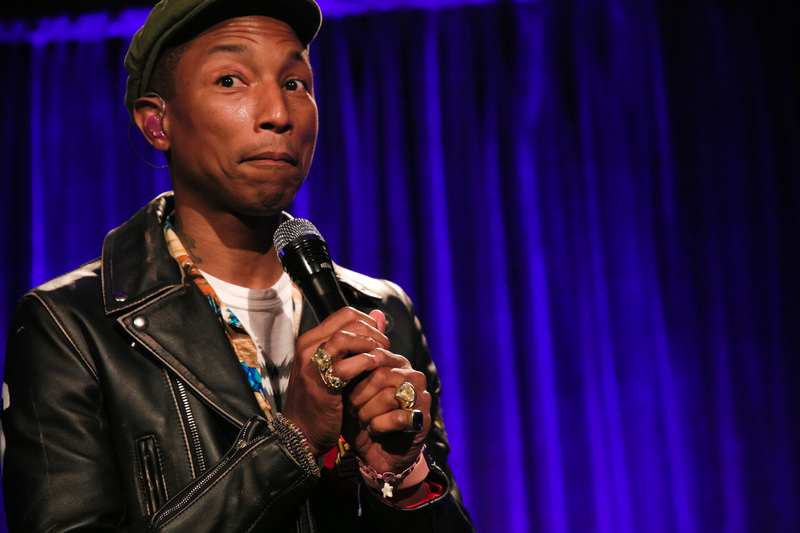 “In working with Pharrell Williams we wish to continue to innovate by allowing Pharrell to push the boundaries even further across all aspects of our business, from creating new product ideas and new visions on sustainability to creating new brand experiences,” G-star CMO Thecla Schaeffer said in a release. “We are genuinely excited to welcome Pharrell into the G-Star mission in order to reimagine the future of denim together.” G-Star RAW, founded in 1989, offers a range of apparel, accessories, footwear, and eyewear, alongside its jeans. The brand will continue its partnership with Williams’ company Bionic Yarn and its sustainability initiatives. No financial details of the partnership were revealed. Williams first announced the news on Instagram.